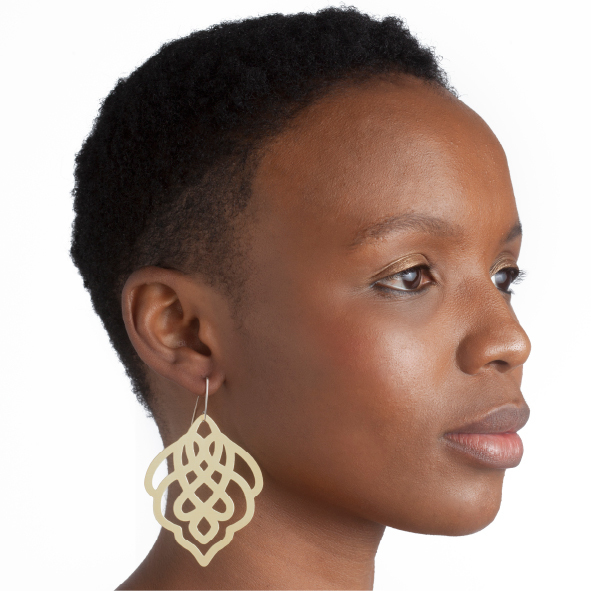 These brass and copper Filigree earrings are part of our new range inspired by Moroccan design and architecture. Made from 0.5mm thick laser cut metal, all of our brass and copper items are brushed by hand and lacquered to prevent tarnishing. These Large Filigree earrings are available in either brass or copper and you can choose to go for the statement Large Filigree earrings or the dainty Mini Filigree earrings. All of the earrings int his range are hung on sterling silver hooks. 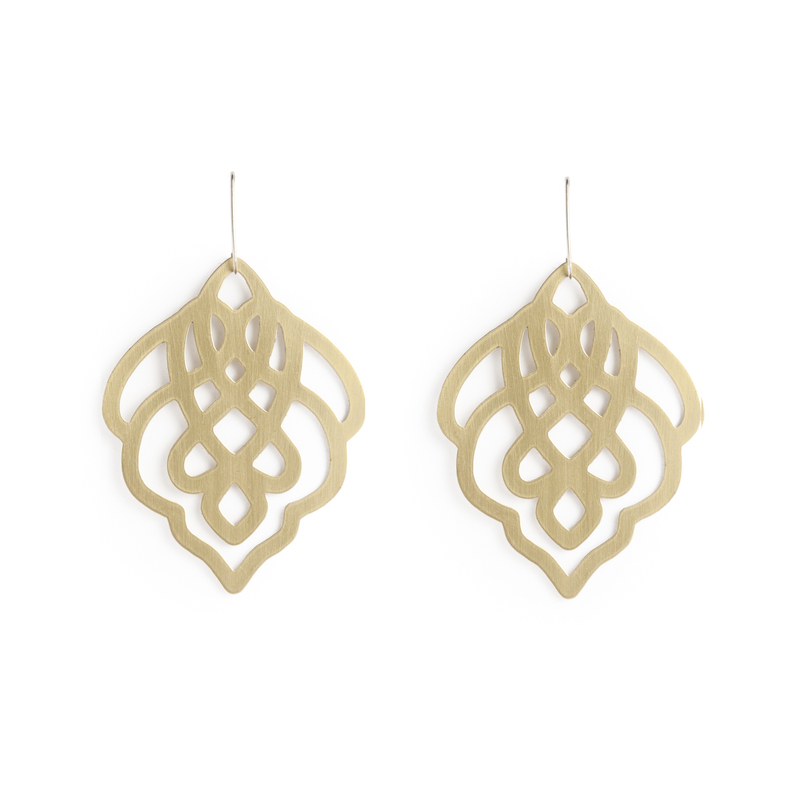 Notify me when Large Filigree Earrings in Brass Filigree Earrings Large Metals is available.